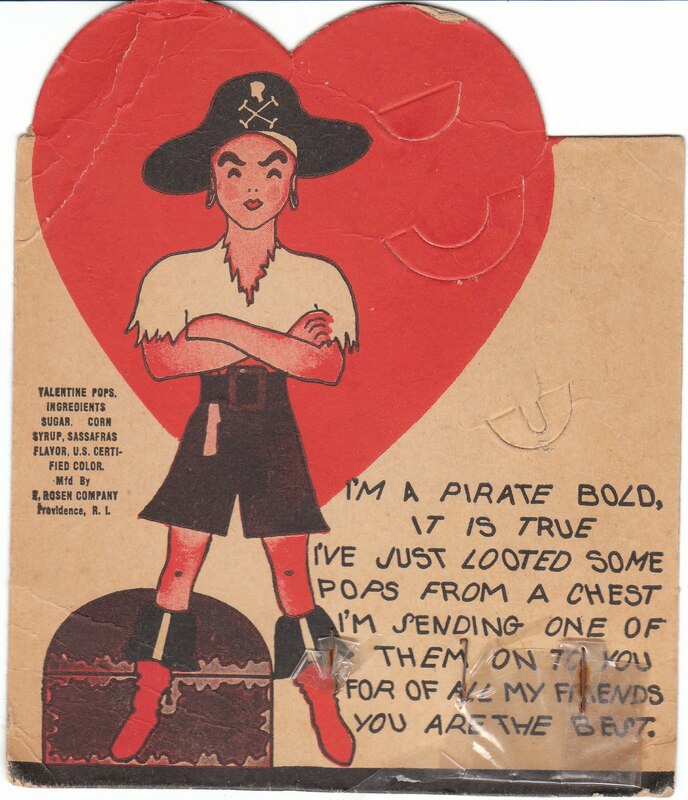 I love, love, love these vintage Valentine lollipop cards. The earliest ones I have are from the 1940's to 1950's, and the others are 1960's vintage. They are all printed by Rosen and they have little slots for a child to tuck a lollipop into the card. So cute! This 1940's vintage pirate card is especially nice. Vintage Lollipop Cards at Birdhouse Books.